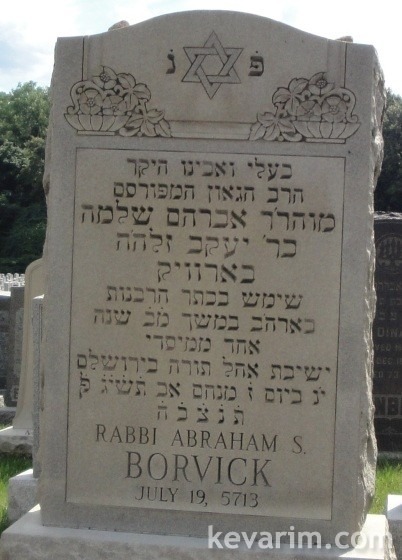 rabbi avrohom borvick was nifter on 7 av see picture. What does the “Yud Gimel BaYom” standfor? Its “Yud Nun” which is the abbreviated term for “Totzoh Nishmosi”. Berel is right, you should change the date to 7 Av.